Native Advertising & Advertorials - Where's the Fit in Content Marketing? Do Advertorials & Native Advertising Fit In Your Content Marketing Strategy? Where do advertorials, also know in politically correct terms as “native advertising”, fit into the content marketing toolkit? To answer this question, we first have to understand what advertorials are – and also that the definition of content marketing itself is a hotly contested topic. Adam Stetzer of HubShout, in his recent investigation into the purported Google penalization of Interflora for employing advertorial content, insists advertorials are NOT content marketing. “Advertorials are advertisements, regardless of how you try to dress them up”, he says, “while content marketing is educational. Advertorials are biased; content marketing is free of any bias. The two may share a commercial motive, but are completely different and should be treated as separate entities”. 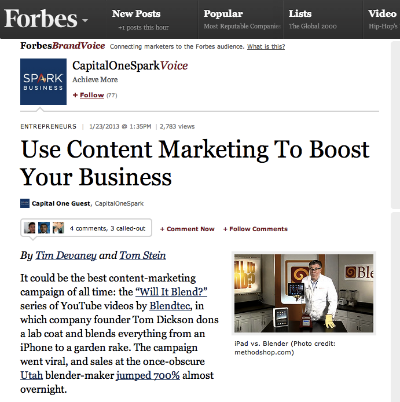 His definition of content marketing includes AdVoice, the Forbes service he was speaking of at the time. “First launched 20 months ago, it’s a fully transparent way for marketers to publish and curate content on Forbes.com and in our magazine.” In fact, Lee Odden was included (unbeknownst to him) in a recent Forbes AdVoice article published by CapitalOne, “Use Content Marketing to Boost Your Business” which looks and reads pretty much the same as regular Forbes content. 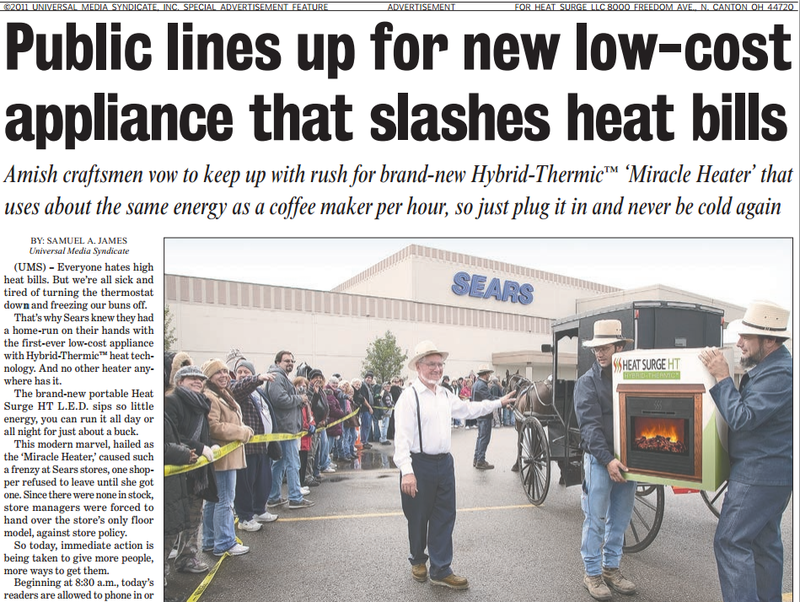 Are Advertorials Evil By Their Very Nature? Advertorials have been around since the 1940s, when savvy newspaper publishers realized the potential of ad content posing as editorial. Then came infomercials, those wonderful paid programming spots that helped networks fill the dead air and increase their off-time revenue. Fast forward to the modern web; advertorials might also be known as native advertising, or more commonly, sponsored content. They typically appear in blogs as well as print and online magazines and newspapers. Sponsored content allows brands to reach beyond their own audiences, to inform, engage and convert readers through content that (ideally) reads as editorial despite the underlying advertising message. This advertorial ran in local newspapers through a service called Universal Media Syndicate. Though clearly marked an advertisement, it has a definite editorial look and feel. Google itself has pushed the envelope as far as clearly indicating which of their content is organic or paid and has had many conversations with the FTC as a result. So while some have rightly questioned whether Google’s stance on advertorials is a move designed to cut their paid advertising competitors off at the knees, it doesn’t seem so. The penalization of flower brand Interflora for participating in BBC advertorials seems a natural extension of their paid links policy. As Stetzer points out in his evaluation of the situation, penalization for advertorial content can be prevented/remedied by ensuring all links in the content are no-follow and do not pass PageRank. Still, we have the ethical question: do advertorials have a place in your strategy as one of the content marketing tactics to consider? Are Advertorials Even Content Marketing At All? Information designed for consumption, seasoned for enjoyment, and packaged to share. Content comes in any form (audio, text, video), and it informs, entertains, enlightens, or teaches people who consume it. Content is high quality, useful information that conveys a story presented in a contextually relevant manner with the goal of soliciting an emotion or engagement. Relevant, compelling, timely and valued knowledge and/or entertainment. Original and opinion-charged copy with a focused message and personalized voice. 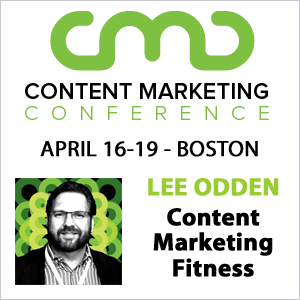 In fact, after perusing the 40+ definitions of content, I don’t see anything about paid content falling within the bounds of content marketing territory. Then again, I see nothing definitively excluding it as a viable tactic, either. Unfortunately, many online marketing tactics that show promise are milked to death and taken way too far by overzealous marketers. Instead of an outright ban on advertorial content, maybe what we need is a set of common sense, ethical guidelines for its use. Top quality – never forget the “editorial” part of the equation. Your competitors may have former journalists and professional editors at their disposal, as should your brand. 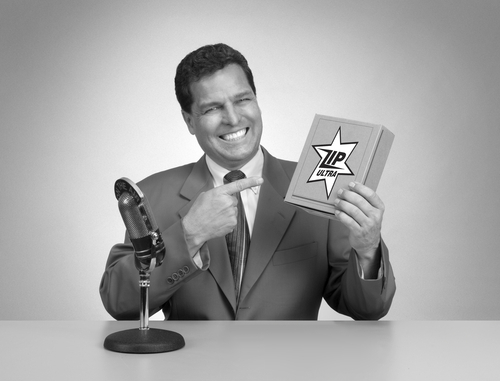 Avoid overtly promotional language because it’s ineffective and makes you look silly. Aim to inform, educate, and/or entertain readers, as with other types of unpaid content. Offer transparency and does not attempt to trick readers into believing they are reading unbiased, journalistic content. Use no-follow links to avoid passing PageRank and falling outside Google’s guidelines. Serves its purpose through careful planning and alignment with your business goals. An accurate reflection of your brand voice, company culture and capabilities. Advertorial content has been a sticky topic lately, although it doesn’t have to be dismissed without consideration. If sponsored content makes sense as a marketing tactic for your company and you can find an opportunity for placement with a reputable publication and measurable ROI, it may be worth considering. Just remember that content, whether it’s published purely based on editorial merits or as part of an advertising program, isn’t effective unless it creates value for the reader. Are you using advertorial content as part of your marketing strategy? Share your tips or thoughts on the practice in the comments. Thank you Miranda. As of now, I have not used advertorial content to promote my website. However, with the insights you have provided, using advertorials as a part of content marketing strategy seems to be a good policy. I think also a difference between an advertorial and content marketing is the packaging of the product. Say for instance with video: I would consider a one-off video to be more of an Advertorial whereas a paid video series around a topic or theme, if done right with enough of an editorial feel, would fall into “content marketing”.